Appeal of the dismissal of Conductor S. Veinot of Winnipeg, Manitoba. The termination for the incident of April 22, 2017 shall be substituted with a suspension for his period out of work, in addition to his reinstatement without compensation or loss of seniority. Appeal of the 30 day suspension of Conductor S. Veinot of Winnipeg, Manitoba. The grievance is upheld to the extent that the 30 day suspension shall be removed from the grievor’s record and substituted with a written warning. The grievor shall be otherwise made financially whole. I shall retain jurisdiction should a dispute arise with respect to the amount owing to the grievor. Given the focus of CP’s submissions on discipline, the arbitrator must conclude that undue hardship has not been shown. The appropriate remedy therefore will be comparable to those which this Office has ordered in past cases. In similar situations, this Office has ordered reinstatement with conditions. Each decision in this area is limited to the specific facts of the case. The TCRC demonstrated CP did not have reasonable cause to require Mr. Lind to undergo substance testing as a condition of an arbitrator-ordered reinstatement. Mr. Lind is therefore entitled to the compensation claimed for the period from February 24, 2016 to June 9, 2016. I agree with the Union that the initial termination as well as the later reduced penalty were both extraordinarily harsh. The penalties are set aside and replaced with a 7 day suspension, for the insulting language, but not for a refusal to follow directions. The grievor is otherwise to be made whole, with interest. The arbitrator accordingly substitutes a 3-day suspension for the original 30-day suspension. This suspension applies solely to Mr. Desjarlais receiving a call for work and booking off sick at that time. No discipline was warranted for the two occasions when Mr. Desjarlais booked unfit in accordance with the collective agreement. Appeal of the assessment of two dismissals of Conductor D. Lang of Winnipeg, MB. The arbitrator has concluded that the dismissal for the September 3, 2016 derailment incident was excessive and shall be replaced by a 7-day suspension. The arbitrator orders CP to reinstate Mr. Lang in his employment, with compensation and without loss of seniority, except for the period of the 7-day suspension and less any amounts earned in mitigation. Appeal of the 2 discipline assessments and 3 dismissals of J. Zahariuk of Winnipeg, MB. From the totality of these five cases, I cannot discount the grievor’s feelings. The discharge penalty applied three times in a row are now all set aside and the grievor is to be reinstated as directed above. In the last two cases particularly, the magnitude of the penalty grossly outweighs the relative seriousness of the offences alleged. In this case I am not prepared to find the grievor waived the right to object. The Union’s representative, while not objecting to the adequacy of the initial notice, asked at Question 9 for an assurance that all the evidence being acted upon had been disclosed. It is obvious that, despite nothing being produced from Mr. Tzing, the investigating officer was in possession of details of the allegations yet he disclosed nothing. An informed waiver requires full knowledge. The absence of disclosure when asked adds to rather than waives the seriousness of the initial absence of a compliant notice of hearing. I find a failure to comply with Article 23.01(4). I therefore allow the grievance and set aside the discipline, directing that the grievor be made whole. I reserve jurisdiction to make any further remedial order necessary, should the parties be unable to agree. This morning the Union received the awaited results of our hearings before Arbitrator Clarke in regards to the systemic Over Hours violations that go to the core of rail employees’ rest and work-life balance. We will provide a brief summary for you as it is a lengthy award but encourage all to read and provide any questions to your Local Chairperson so they can be forwarded to our offices for clarification. The Grievor resigned his employment with the Company effective August 11, 2016 (Company Submissions; Tab 3). There is no evidence with respect to the Grievor’s rationale for resigning. I infer, therefore, that he did so of his own volition and for his own reasons. Accordingly, no compensation would flow after the date of his resignation. In that respect, I accept the comments of Arbitrator Picher in CROA 2028. The grievance is allowed. The Grievor shall be made whole from the period of time that the Company’s SAP report was completed to the date of his resignation on August 11, 2016. Appeal of the discipline and discharge of Conductor J. Shewchuk of Winnipeg, MB. The arbitrator orders that CP reinstate Mr. Shewchuk with appropriate compensation. The 30-day suspension and the termination will be removed from his record and written warnings will be substituted in their place. The arbitrator orders that CP substitute a 60-day suspension for the current 152-day suspension and compensate Conductor Morale for the difference. The arbitrator remains seized should any questions arise regarding this award. The penalty imposed must be proportional to the transgression alleged. In my view, a discipline of dismissal is disproportionate in the circumstances and should be replaced with a suspension of one month. The grievance is allowed in part. The dismissal will be set aside and replaced with a one-month suspension. The Grievor, having already been reinstated, shall be otherwise made whole. Based on the medical information provided to CP, it is unclear why they concluded that they could no longer continue to accommodate Mr. Robinson during the graduated period suggested by his physician. While there may have been an earlier issue in 2012 which potentially influenced CP’s analysis, that cannot justify disregarding the significant medical information Mr. Robinson provided. CP violated its duty to accommodate; Mr. Robinson is entitled to a remedy. My conclusion is that, despite the seriousness of these Rule violations, aggravated by the damage caused, Mr. Taylor’s employment relationship is capable of restoration. I find it just and equitable in the circumstances that his termination be set aside and he be restored to employment, but without compensation, the intervening period being recorded as a suspension. I remain seized to finalize this remedial award, if necessary. Ms. Bujold’s record over the prior year was poor. In these circumstances the termination is set aside and the grievor will be reinstated without compensation. She has been remorseful and has accepted full responsibility which convinces me that this is a working relationship that can be successful in the future. Appeal of the dismissal of K. Lyle of Moose Jaw, SK. I do not find a violation of Article 70.05 in these circumstances, albeit that I have seen fit to mitigate the penalty. For these reasons, I find that the Company has established just cause for discipline, but that the penalty of termination, should be reduced to a 60 day suspension. Having considered these arguments, I find I must dismiss the grievance. Most of the cases cited in support of intervention involve first offences or longer service employees. None of them involve both a very recent prior infraction or a reinstatement on strict conditions as is the case here. Like Arbitrator Weatherill in CROA 681 I find that the Employer had just cause for dismissal and no intervention is warranted. The arbitrator orders CP to reinstate Mr. Wojcik, with full seniority, and with compensation for any lost wages and benefits, other than for the period of the 7-day suspension. The arbitrator remains seized for any issues arising regarding this reinstatement order, including for sums earned in mitigation. A two month suspension is substituted for termination with the grievor to be made whole except for the two month’s pay. Thus, the grievances are allowed. The company shall cease and desist from any such future violations of the collective agreements. I order that all work done by US crews since October 29, 2013, be returned to the bargaining unit. After carefully considering the submissions of the parties, I find the Company breached the Collective Agreement by unilaterally cancelling the Shepard Agreement. After carefully considering the submissions of the parties, I find that the Company breached the Collective Agreement by unilaterally cancelling the Pitt Meadows MOA. In terms of orders, I am of the view that only my order for an abeyance code is necessary at this time. I believe it is best to remit the remainder of the remedial relief back to the parties to discuss together with the issues arising from the cancellation of the Red Deer Interim Diversion Agreement. I am hopeful that my awards will assist the parties in focusing their discussions and resolving their differences. In terms of orders, I order the Company to immediately establish an abeyance code for Red Deer crews and Edmonton crews in accordance with the Union's request as outlined in this award. The arbitrator accepts TCRC’s grievance and declares that CP’s practice of having members drive company vehicles to DH violates the collective agreement. In my opinion, the Company was not exercising a contractual right under the earlier agreements. Rather, the Company was initiating a material change in working conditions, which has had significant adverse effects on the current employees working at these two terminals. Accordingly, for all the reasons I have set out above, I am allowing the grievances. The arbitrator orders that CP reinstate Ms. Brander forthwith. CP will substitute 15 demerit points for the 2014 30-day suspension it imposed. CP will substitute a 5-day suspension for Ms. Brander’s 2016 termination. I am satisfied that, in the circumstances, it is reasonable for the Company to conclude that it can no longer trust the Grievor to perform to the high standards that are required of his job. Therefore, after carefully considering the parties’ submissions, I am compelled to find that the Union’s position is correct. The collective agreements and past practice confirm that Delson is outside the Montreal Terminal. The Company is not at liberty to unilaterally declare Delson to be within the Montreal Terminal. I order the Company to cease and desist operating trains operating trains contrary to my findings. I order the Company to create an abeyance code for all claims arising from their conduct. Therefore, for the above-mentioned reasons, the grievance is allowed. Mr. Popescu is to be reinstated into employment as a Conductor Trainee, with compensation for all lost wages and benefits. No such right is granted to the Grievor by the Collective Agreement in the case at hand. Perhaps Mr. Cordero regrets his decision to resign from the Company; this is not, however, sufficient grounds to reinstate him in his previous position. For the above-mentioned reasons, the grievance is allowed in part. The discharge shall be recorded as a three months’ suspension. The Grievor is to be reinstated forthwith without loss of seniority and with compensation for all wages and benefits lost, save for the three months’ period of suspension. The dismissal shall be removed from the Grievor’s record and he shall be reinstated forthwith without loss of seniority, but without compensation for lost wages and benefits. Thus, for the above-mentioned reasons, the grievance is allowed. The Grievor is to be reinstated in his position forthwith without loss of seniority and is to be compensated for all wages and benefits lost. 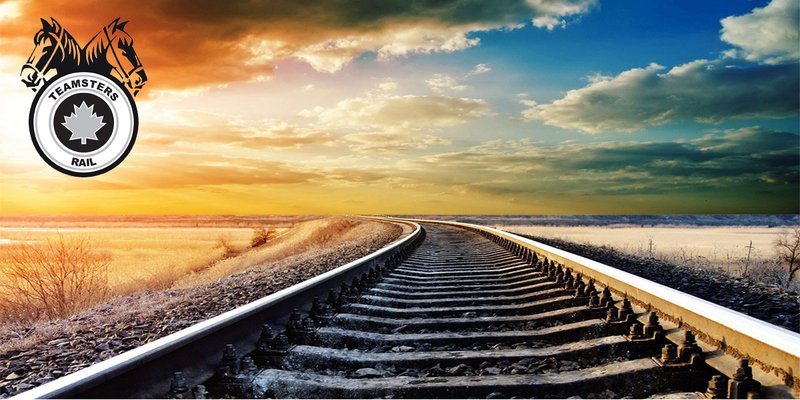 Appeal of the Company’s unilateral changes of not paying “off main track payments” (OM) at Vaughan Yard and the refusal to establish an Abeyance Code for these declined claims. Dispute with respect to the implementation of CROA Case No. 4208, specifically as to whether Mr. Gauvin’s July 2008 dismissal disentitled him to HAS benefits for his service prior to his dismissal. Since CP did not meet its evidentiary burden, the arbitrator upholds the TCRC’s grievance and orders that this discipline be struck from Mr. Playfair’s discipline record. The arbitrator orders CP to reinstate Mr. Lougheed with full compensation and to replace his dismissal with a written warning. I am hopeful that this award, together with my August 3, 2016 Award, will provide the parties with the necessary direction to review and resolve all the outstanding claims. However, in the event that the parties cannot resolve all the outstanding claims. Accordingly, for all of the reasons stated above, I find and declare that the material change provisions of the Collective Agreements do not permit the Company the right to initiate the proposed January 22, 2016 ESR between Winnipeg, MB and Thief River Falls, MN without the need to change crews in Emerson, MB or Noyes, MN. Employees shall be permitted to change their vacation period into a week or weeks, which are not fully allocated. Such changes shall be made on a seniority basis, according to the craft list the employee falls within that particular year. This award concerns an arbitration held under the material change provisions of the four separate collective agreements governing the services of Locomotive Engineers (“LEs”) - East and West and Conductors/Trainmen/Yardmen (“CTYs”) - East and West pursuant to notices issued on September 18, 2014 and April 15, 2015. The relevant provisions of the collective agreements are found in article 72 of the collective agreements governing CTYs and article 34 of the collective agreements governing LEs. In conclusion, having regard to my findings in this matter, the Company is ordered to cease and desist violating the Collective Agreements. The Company is directed to comply with their obligations under the Collective Agreements, including the Kaplan Award. We have received a response from Keith Shearer, GM Regulatory and Operating Practices on the issue of the use of GE Locomotive jump seats for deadheading crews. TCRC Winnipeg Division 76 membership are successful at Arbitration. The decision of the Arbitrator in this case demonstrates that the diligence and the hard work by the TCRC membership within Division 76, the Division 76 elected Officers, and the General Committee elected Officers was sufficient to defeat the unreasonable and unsupportable actions of the Labour Relations Management within CP Rail. TCRC Collective Agreements remains contractually obligated to refer or accept the referral of any grievances to CROA&DR involving our Union for final disposition in accordance with Sections 56 and 57 of the Canada Labour Code. Please see the attached award from the CIRB that we received today regarding Union Leave and our complaint following our legal work stoppage. As you will read, the CIRB found that the employer did breach section 94(1)(a) of the Code. As you will recall, two outstanding issues remained from the December 2012 Kaplan Arbitration. Commuted value for terminally ill employees and the Company’s demand to execute a Consolidated Collective Agreement. The grievor is to be reinstated into his position with the Company forthwith, without loss of seniority and with compensation for all wages and benefits lost. This grievance is therefore allowed, in part. I direct that the grievor be reinstated to his employment forthwith, without compensation for wages and benefits lost and without loss of seniority. This is in regards to recent discussions concerning the use of Management personnel to preform bargaining unit work. Please see the attached award from the CIRB. As you will read, the CIRB found that the employer did breach section 94(1)(a) of the Code. Further, the CIRB ordered the interim agreement dated April 22, 2014 will remain in effect until a new collective agreement is in place. Reinstatement of employee Extended Health/Dental benefits during disciplinary suspensions of less than 30 days. “The arbitrator’s decision is an outrage and, as a railroader, I am appalled we would be forced to place this employee back in the cab of a locomotive. On my watch, this individual will not operate a locomotive,” said CP’s chief executive officer Hunter Harrison in a news release.